Small class sizes ensure you're treated as an individual and supported through your education. Graduates earn Ontario's second highest average income. For eight years, we've led the province in graduate employment rates. 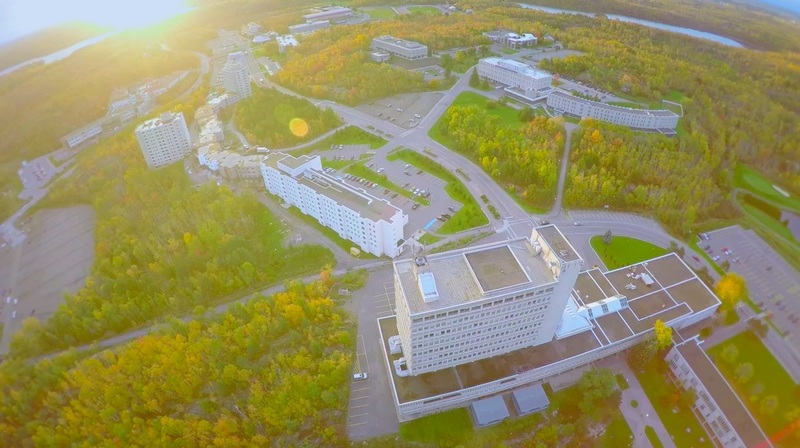 More students are choosing Laurentian and we are excited to let you know why. We have award winning programs, a multi-cultural learning atmosphere, and a breath-taking campus. We have a proven track record in preparing graduates for a bright and rewarding future. The Laurentian University Board of Governors is pleased to announce the appointment of Dr. Robert Haché as the University’s 11th president and vice-chancellor. He will assume the position on July 1, 2019, for a five-year renewable term, succeeding Dr. Pierre Zundel who has been serving in this capacity on an interim basis since August 2017. #Imagine2023 is about demonstrating the shared values and strengths that make us who we are. They are impressive on their own, but taken together, they tell a powerful story about who we are and all we have to offer. Our plan is a reflection of our students, faculty, and staff, their work, and the positive impact Laurentian will continue to make in the world. Together, we will shape the future. The Goodman School of Mines is now accepting registrations for the following courses. These courses are standalone courses that combine into the GSM Project Management Certificate. They are applicable and available to everyone and are not mining focused. More events can be viewed through our internal website or our events page.